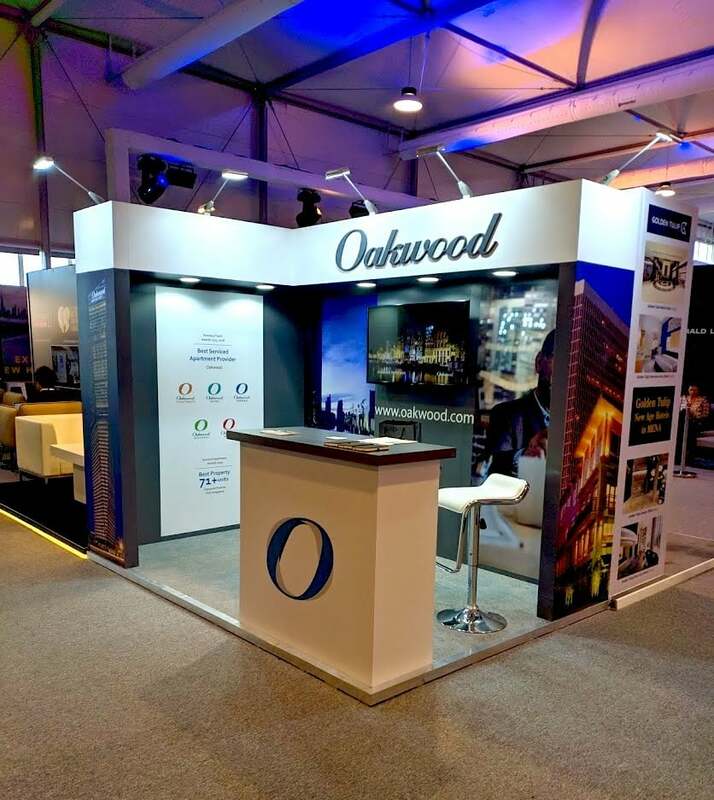 Team Symbiosis has completed its third #OutStanding booth for Oakwood in under three weeks! The latest quality 3m x 2m stand was handed over to a very happy client at the Arabian Hotel Investment Conference in Ras Al Khaimah, United Arab Emirates. This followed hot on the heels of a 4m x 4m at the Business Travel Show in Olympia London & another 3m x 2m at the International Hotel Investment Forum in the InterContinental Berlin. Nice work!